Climate change is already having a huge impact in many parts of the world. In countries where WSUP works, poor water availability poses serious risks to society, and as extreme weather events become increasingly frequent, this challenge is worsening. 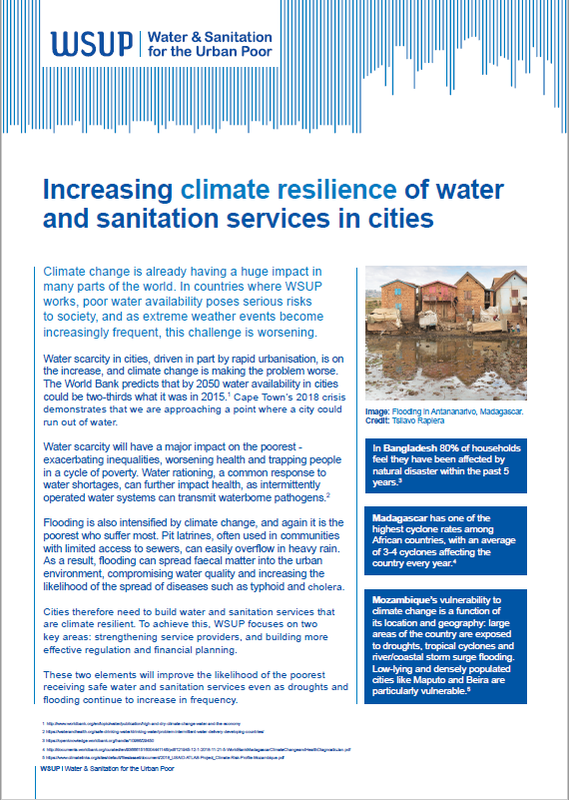 This paper highlights how WSUP works to support climate resilience.